Is Blogging Right for Me? Take the Quiz. A blog can be a great way to create a side income and work from home. But if you've never done it before, you are probably wondering “Is blogging right for me?” Actually, people ask me that all the time. Unfortunately, there is no simple answer. There are so many factors to consider. I put this little quiz together to help you decide for yourself. Many people, myself included, start a blog because they want to create a side hustle and work from home. Making money from blogging is absolutely doable – but it is not a get rich quick scheme. In fact, growing a blog takes a lot of time. If you need money now (read: yesterday), then you should probably look for a job. I finally started making money with my blog after I took the course Making Sense of Affiliate Marketing. Even though I had been blogging for a long time, this course was eye opening. I realized that I was working hard, but I wasn't doing the right things to make money. If you don't know what you want to blog about – take some time and read this article. You must have a clear idea of what you will write about, especially if your blogging goal is to make money. When you are not clear – you will start to second guess yourself and try to copy what everyone else is doing. You ask – is blogging right for me? – well, tell me, what will you blog about?. How Much Time Will You Devote to Blogging? Writing a single blog post takes me so much longer than I ever thought it would. Not only do I outline and write, but I create images, and schedule social shares. Then I interlink posts and come up with new ideas. At a minimum, you need to spend 10 hours per week. But I can tell you, I spend tons more time than that. Some people will tell you that you don't have to know a lot about technology. Personally, I think you need a basic proficiency or at least, the willingness to learn. Unless you have a tech support person at your fingertips, you will need to troubleshoot WordPress, resize images, work with graphics programs like PicMonkey, and have a basic HTML vocabulary. When you are your own boss – there is no one around to tell you what to do. That is a good thing if you know what you are going to do. But it is a bad thing if you have no idea what you are doing. The good news is that there are tons of great blogging courses to help you on your way. 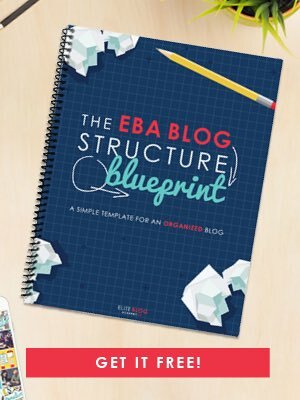 My favorite course (and the one that helped me get my blog going) is Elite Blog Academy by Ruth Soukup. When I first started blogging, I was all over the map. My approach was to see what everyone else was doing and try to copy that. Basically, I wasn't getting anywhere. When I finally signed up for Elite Blog Academy, things changed. I gained focus and clarity – two things that are hard to find. The course showed me step by step how to set my blog up, and how all the pieces connected with each other. If you are still wondering if blogging is right for you – think of it as a journey. Sometimes you just need to get started or you will always be in the same place. 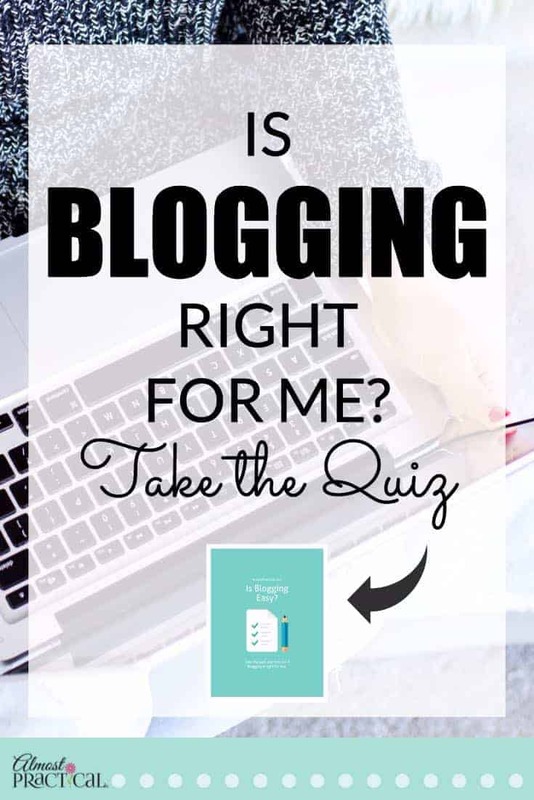 Share your results from the Is Blogging Right For Me Quiz in the comments below. Psst – if you were wondering how I put this little quiz together – you can find the secret here. Hi Neena, that was a quick and easy quiz. I liked it. I just don’t have enough TIME to do it all but I’m working on it still, not giving up. I think that is something many don’t realize at first – the time it takes to generte content, promote, network with others, etc. But it can be fun too! You must LOVE it in order to continue to do it. Many don’t survive past the first year. I can’t wait to see the results! Have a great day Neena. I am so glad that you liked the quiz – it was my first attempt at putting one together and it was much easier than I thought it would be. There is so much online about how easy it is to start a blog, and it is, but there is also a lot of work involved – and I want to bring awareness to that as well. Thanks so much for taking the quiz and for your feedback!